With the clock ticking, Netanyahu is said to be considering whether to order the IDF to seize the land Beit El's threatened homes rest upon. Prime Minister Binyamin Netanyahu reportedly said Sunday that saving Beit El's threatened Ulpana neighborhood is a "challenge the public can tackle." Now, following the Supreme Court's rejection on Monday of his government's petition for a 90 day extension in which to determine a solution to the problem, the need for a solution is imminent. Arutz Sheva learned on Tuesday that Netanyahu is weighing his options for averting the destruction of the five homes slated for demolition against a ticking clock. 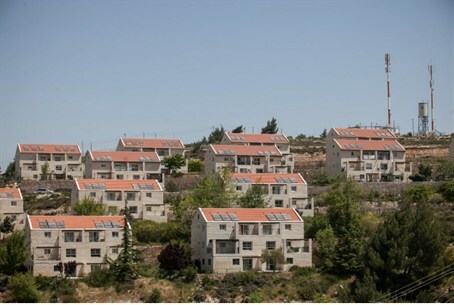 Sources close to Netanyahu say the short time allotted – a mere two months – would make drafting legislation and passing legislation to legalize the houses extremely difficult. Additionally, the Supreme Court has previously ruled Israeli law does not apply in Judea and Samaria, which are under military administration. As a result, if Netanyahu were to pursue legislation as many of his senior ministers have demanded, he could be signing a legislative dead-letter into law. Instead, he is said to be considering an alternative solution wherein the Defense Ministry would issue a seizure order for the threatened houses and land. Such an order instructs the military commander of Judea and Samaria to expropriate the land from its legal owner, after which it becomes state-owned land. By changing the status of the land and house, the political leadership would theoretically be able to leave the houses (and their residents) where they are. Despite the apparent ease of issuing such an order – an administrative fiat rather than legislation – such a move could prove problematic. Decisions by the Elon court in 1980 placed administrative decisions under "more meaningful review" than legislation which raises doubts about whether the move would be upheld by the Supreme Court. The issue has also dredged up an ongoing controversy about the Supreme Court's exercise of judicial review to nullify laws – and in this case, government policies – it deems “unconstitutional” in the absence of a formal Israeli constitution. Sixteen years ago the Israeli Supreme Court decided in the Mizrahi case that Israel's "Basic Laws" amount to Israel's formal Constitution and it enjoys the power of judicial review. However, in the absence of a clear separation of powers between branches of government in Israel's Basic Laws – including those of the court itself – the extent of that power, and whether it is exercised prudently, remains deeply connected to the personality of the sitting justices. Critics say that judicial review – as it has been wielded to date – has raised disturbing and difficult questions about the sovereign will of Israel’s voters when government policies concerning diplomatic, political, and security issues are overridden. As a result, either path – legislation or a seizure order – could place Netanyahu's newly forged 94-seat supermajority on a collision course with the Supreme Court. Some legal observers have said Netanyahu's now-stable coalition has a third option – refusing to carry out the order (which the Court itself has no power to enforce) until a more suitable solution can be implemented.